You are probably aware of the fact that Medicaid is a government program that is in place to provide a source of health insurance for people who have very limited financial resources. If you are a working person, you may well have health insurance through your job, and you probably would not qualify for Medicaid due to the income and asset limits. Though Medicaid is not relevant to the majority of American workers, at some point, it can become quite relevant, even if you are qualified for Medicare coverage. This is because of the fact that Medicare does not pay for custodial care, which is the type of care you would receive in a nursing home or assisted living community. Seven out of every 10 seniors are going to need help with their activities of daily living, and nursing homes are very expensive. Here in the greater Hartford area where we practice law, a year in a nursing home can easily cost you over $100,000, and people often require multiple years of care. The limit on countable assets for Medicaid purposes is $2000, but some things that you own are not countable. Your home is not counted, but there is an equity limit of $828,000 in Connecticut in 2015. Personal effects, one vehicle, household items, and wedding and engagement rings are not counted either. If you have been diligent about your estate planning efforts, you may have established a revocable living trust. These trusts are very popular, because you can include spendthrift protections, and the assets can be distributed outside of probate. There are benefits to be gained if you have a living trust in place, but assets in this type of trust would be counted if you were to apply for Medicaid to pay for long-term care. Since you can dissolve or revoke the trust, you are retaining incidents of ownership, and for this reason the assets would be countable. That’s the bad news, but there is also some good news to pass along. 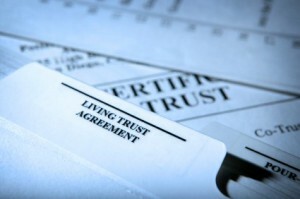 In addition to revocable living trusts, there are also irrevocable trusts that you cannot dissolve. If you wanted to divest yourself of assets so that you can qualify for Medicaid to pay for long-term care, you could convey assets into an irrevocable Medicaid trust. You could potentially create an income-only Medicaid trust and receive distributions of the trust’s earnings, but the principal would not count for Medicaid eligibility purposes. If you would like to obtain more detailed information about nursing home asset protection and Medicaid planning, we invite you to download our special report on the subject. This comprehensive, in-depth report will answer all of your questions, and it is being offered free of charge right now. To obtain your copy of the report, visit this page: Hartford CT Medicaid Planning.